The Blue Wave Bronze grade cover has the strength and durability of covers costing twice as much. Rugged polyethylene scrim and coating means this cover can withstand winters worst. Blue Wave covers are U.V. protected so they will last for years in direct sunlight. The covers black underside retards algae growth and heat sealed seams means a crystal clear pool next spring. The big 4 foot overlap ensures a proper fit for above ground pools unlike covers with 3 foot overlaps. Blue Wave covers are held secure with a heavy duty cable and winch tightener that is anchored by rip proof metal grommets. Backed by an 8 year warranty (1 year full rated). This Blue Wave cover comes in a dark navy blue with a black underside. 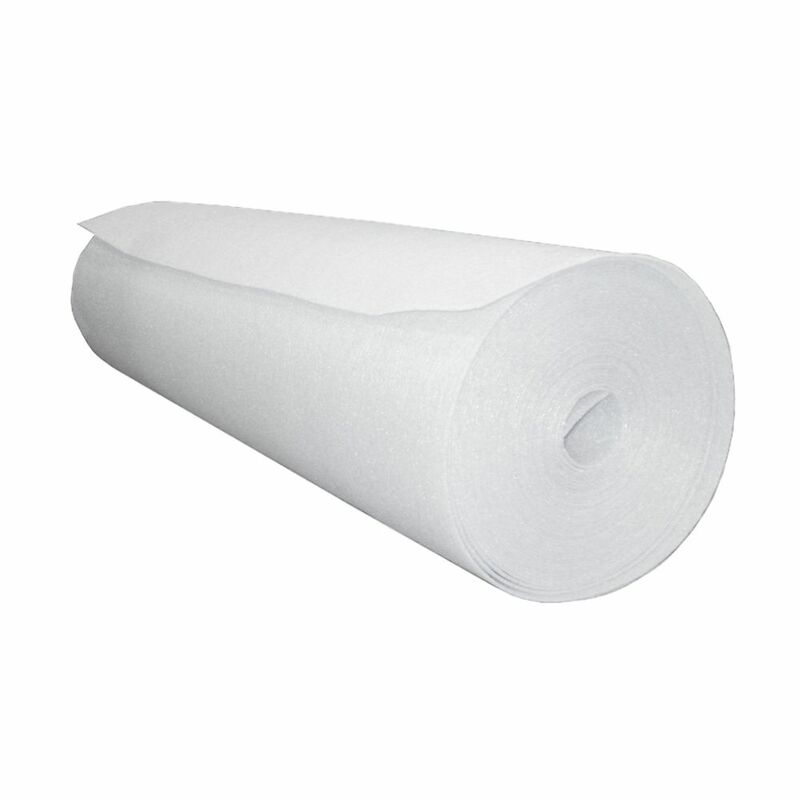 1/8-inch x 48-inch x 85 ft. Above-Ground Pool Wall Foam Roll Protect Against Punctures to your pool liner with Wall Foam. Create a smooth wall surface with this closed-cell 1/8-in foam padding that helps to prevent rust, corrosion, and other wall degradation from puncturing your liner. Help keep your liner like-new for years to come with wall foam! 1/8-inch x 48-inch x 85 ft. Above-Ground Pool Wall Foam Roll is rated 4.7 out of 5 by 3. Rated 4 out of 5 by David from This product was as advertised. ... This product was as advertised. Rated 5 out of 5 by Momof5 from I bought this product after reading another review and how they used it under the pool lining bec... I bought this product after reading another review and how they used it under the pool lining because they had too many small rocks. I also have too many.. many many... many rocks in my back yard dirt. I tried to get rid as much as I could but it was impossible. So I bought this and now my pool is up for 2 weeks not only do I not feel any rocks but the bottom of my pool is so soft and cushioned. It feels so good on my feet. Very happy with my purchase and thank you to that person for helping me with my problem.